The collector is an artist in his own way, by the way he puts things together. You can read a person’s soul from their collection. My art collection started by collecting my own art. The process was simple and unconscious. I created art, no one would buy it so I kept it. Being unable to throw away my own art it became, unwillingly, part of my collection. My first real art acquisition was a 11×14 photograph by Ansel Adams printed by Alan Ross, part of the Yosemite collection. I purchased it because it was offered at an attractive price and because it was by Ansel Adams, a photographer who I revered at the time. This was a one-off because for many years afterward I did not add to my collection. In fact, I did not think of this purchase, or of my own artwork, as being a collection. These were photographs, one by a famous photographer and the others by myself. The concept of art collection came to me later, after I had acquired several other pieces, all of them purchased at affordable prices from artists I was friends with. Artists hang out with artists and part of hanging out is looking at each other’s work and eventually, one thing leading to another, purchasing each other’s work or trading a piece of your work for a piece of their work. I had the opportunity of doing this multiple times while living on the Navajo reservation. In fact, when selling my photographs at art shows I had to be careful not to spend all the money I made on artwork purchases. The temptation was there and I came close several times, in part because I found a lot of work attractive and in part because my income from art shows was low making any purchase a risk to my profitability. Regardless, because of this I quickly built a collection although not a collection that was thought out or that consisted of valuable pieces. Instead, this collection consisted of pieces that were offered to me unexpectedly, purchases made by chance encounters and sometimes purchases made to help an artist in need. Collecting art can take many aspects. On the reservation, it was based on happenstance and surprise. Now that I moved away from Navajoland collecting art has taken the form of carefully planned acquisitions. At least to some extent. Art is a passion and art purchases are as much about emotion as about logic. The rational thought gives way to instant decisions in many instances. Budgets come and go according to the whim of availability. When something is rare waiting to be able to afford it often means missing the opportunity to add it to the collection. It also means a difficult decision, one that grates on you potentially, but one that must be taken in an instant. This is important to keep in mind whether you are buying or selling. Acquiring valuable art is all about having the opportunity to see if offered for sale. The seller has to make the decision to sell it at the right price and the buyer has to make the decision to buy it if the price is right by them. However, when passion is part of a business deal unknown variables come into play making the process challenging but also fun if you approach it from the right perspective. I have learned from my own dealings that in art it is best to keep an open mind when it comes to evaluating the asking price or when pricing your work, depending on which side you are on. These are purchases made for enjoyment and it is best to think of the asking price as fun money even though the sums involved can be high. Investing in art is a reality, and art can be a good investment, but no matter how good it may seem rationally speaking, no guarantee of future growth can be given. There are no earning estimates available. No P/E ratios. No future income projections. This is a different world. One in which enjoying your purchase is more important than expecting this purchase to increase in value. I get a lot of objections about collecting art, both on the part of buyers when I sell my work and on the part of students when I mention the importance of collecting art. One of the most common objections I hear, both from collectors and students, is that they have no space on their walls. Fortunately, art comes in many different sizes. 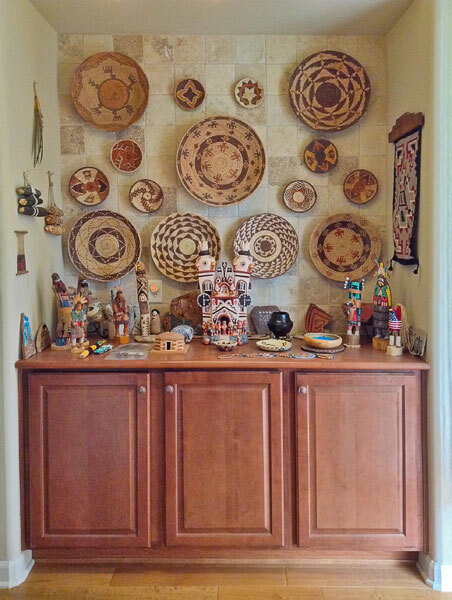 Large pieces are impressive but require large amounts of space to display them. Small pieces, on the other hand, have a beauty of their own and don’t take very much space making them easy to display even if wall space is at a premium. It also makes it possible to acquire a larger number of pieces without sacrificing much space, if any. Overlook in Canyon de Chelly and I purchase one each time I see him. Their small size leaves me with plenty of room to display more as my collection grows. Another common objection I hear when I mention the importance of collecting art is that art is expensive. Certainly, some art is very expensive. Some are even outright out of the reach of most people because it is selling for millions of dollars. 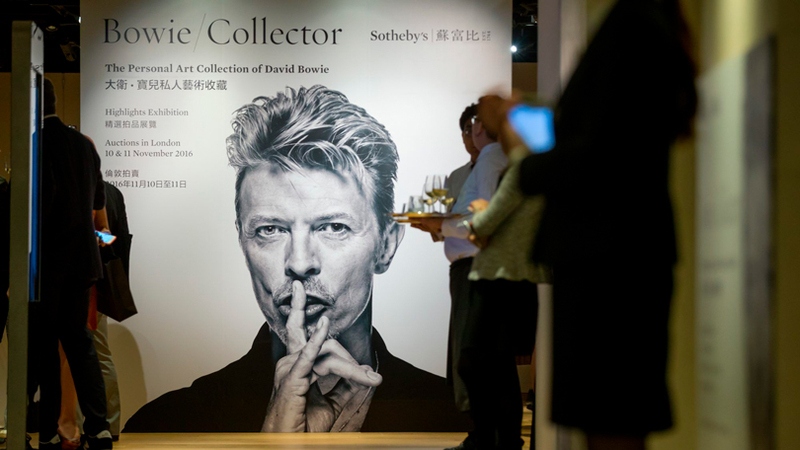 However, this is just one specific segment of the art market, specifically world-famous one of a kind originals that are sought after by collectors and museums who want to assemble a world-class collection. This is the collecting approach of a very small minority and clearly not the approach most people can or want to follow. 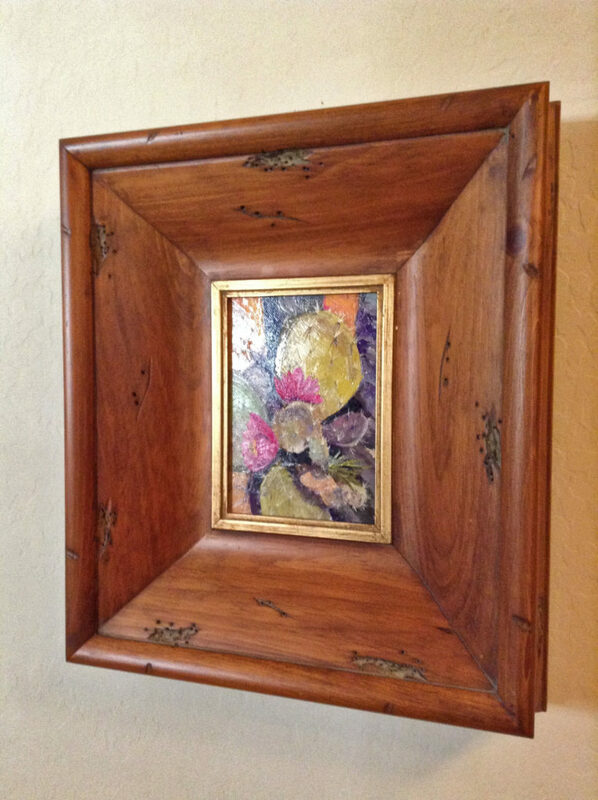 Fortunately just like art comes in a variety of sizes, from large to small, art is also available at a variety of price points, from high to low. This means that you can collect art at whatever financial level you are comfortable. Your art collection should be based on the budget you set for art purchases. Depending on your budget this might mean buying posters, open editions, limited editions, or originals. The value of an art collection is not a function of its financial value alone. Its most important aspect is the emotional value it has for you. 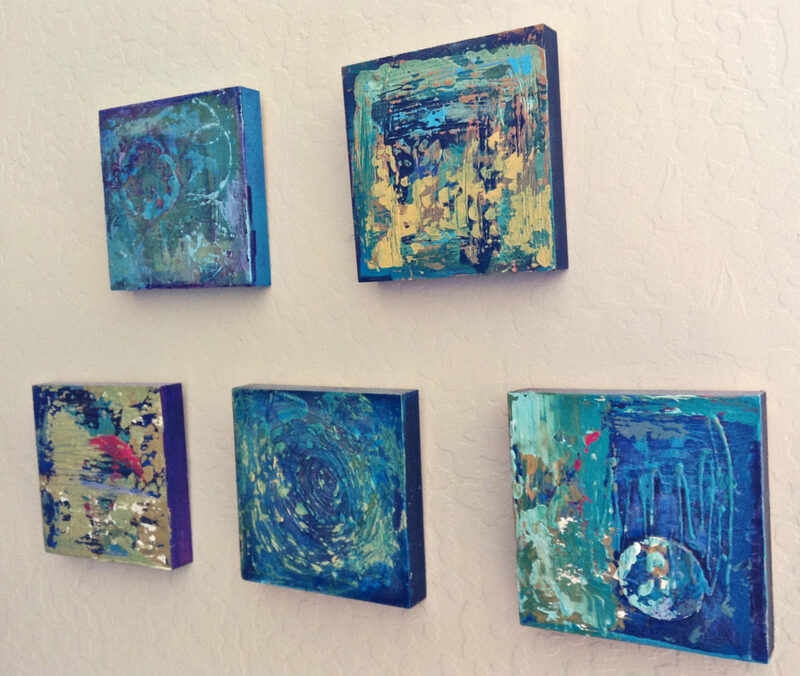 This group of five small paintings cost me $150 at a local art show. While they may not be investment grade they are aesthetically enjoyable and I find their free-flowing facture inspirational. They are a welcome addition to my collection and their modest cost demonstrates that collecting art does not have to break the bank. This oil painting cost me $250 at the Celebration of Fine Art, a yearly art show in Scottsdale Arizona. I bought it because I love the painting for its facture, color palette and composition. I also purchased it because I love the frame. This frame is a bonus because if bought by itself in a frame shop it would most likely cost the same amount I paid for both the frame and the painting. 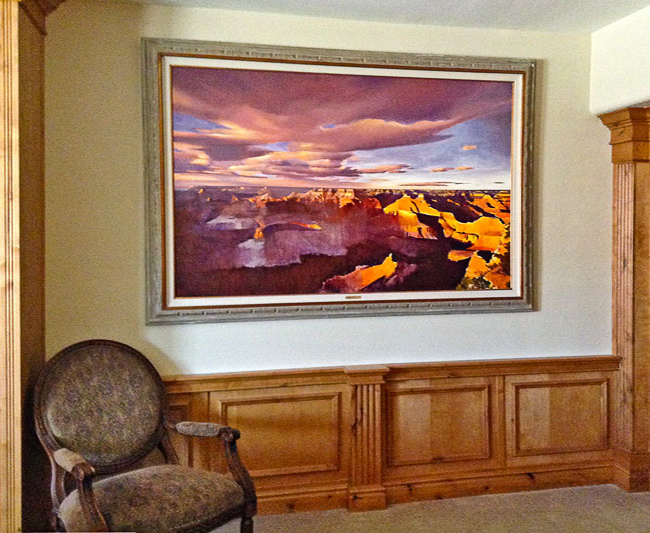 Art can be displayed everywhere in your home, not just in prominent areas. Often overlooked locations include garages, bathrooms, master closets, etc. Art can also be kept undisplayed. Not all art is meant for public or daily viewing. This applies to books and portfolios of course, which are not meant for wall display, but it also applies to art that is part of a large collection, or art that you do not wish to display for personal reasons be it lack of space or simply the desire to not have it publicly visible. There are many ways to enjoy art. For some pieces, it is to display them and be able to see them every day. For other pieces, it is to view them on a free will basis, by personal choice, because these pieces are more enjoyable that way. Books cannot be discounted as part of an art collection. Books signed by the artist or released in limited editions are highly collectible. Artists often publish a trade copy and a collector copy of the same book. While the trade copy is designed to be affordable, the collector copy has a collectible value because it is signed, numbered and usually presented in a slipcase. Some even include an original print. Books also serve a secondary purpose besides collectability. They provide important information about the artist, about his career, his vision and his life. Books act as visual catalogs by providing reproductions and information about a large number of works thereby enlarging your knowledge of the artist’s work and career. 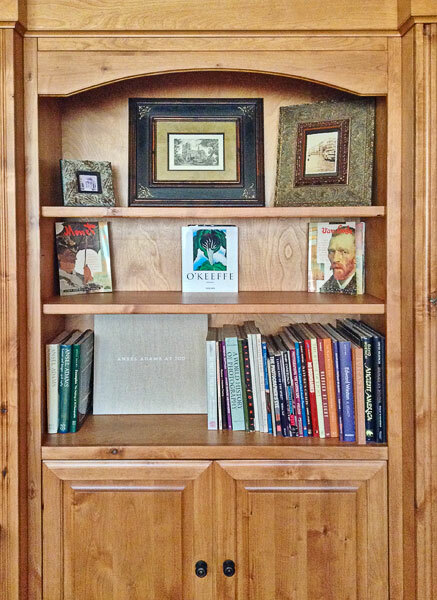 A serious art collection is enriched by the addition of books relevant to this collection. A library is an excellent place to keep artwork which is not intended for wall display. This includes books of course, whether regular editions, trade editions or collectible books. It also includes folios, portfolios, loose prints and other works on paper that can be kept in archival boxes and stored on shelves or in cabinets. Art is a lifestyle, not an occasional activity. It is for that reason that art is part of my home décor. I am an artist and I cannot imagine living without art around me. Not just my art but also the art of other artists whose work I enjoy and admire. I find looking at and living with art inspirational. Inspiration is the most important aspect of art. Of course, there are many ways of finding inspiration. A location can be inspiring. A musical piece can be inspiring. Meeting other artists and discovering their art can be inspiring. However, collecting art is often dismissed as a source of inspiration. This is unfortunate because having art in your home means it is accessible at any time. No need to travel, to attend a gallery opening or to visit a museum. The art is there at your fingertips. Plus, living with art means you see a piece not just at scheduled times, when a museum or gallery is open for example, but at any time. It means having the art grow with you. It means seeing your perception of the art and it’s meaning change as you change. It means having art that is alive. In the case of original art it also means having one of or the only piece available and with it the aura that surrounds original works. A large painting by Michael Stoyanov in my home. When collecting art who created the art matters. I often mention this when asked why my work is more expensive than artwork sold at home décor stores. I simply ask customers if knowing who made the art they display in their home is important to them. If it is not, there is no reason to buy my work. They will be just as content owning work made by someone whose name does not appear anywhere on the piece or whose presence is symbolized by a number or a letter in a red circle, the way quality inspectors at production plants indicate that the product, in this case, the ‘art,’ has passed quality control. For me, the value of a work of art is that it is done by the artist. In fine art photography what gives a high value to a fine art print is that the print was created and signed by the artist. Of course, there can be instances in which the photographer may be unable to make the print himself. However, the value can still be maintained if the print is made by a printer in the presence or under the supervision of the artist. In any case, the Master File must be prepared by the photographer himself. 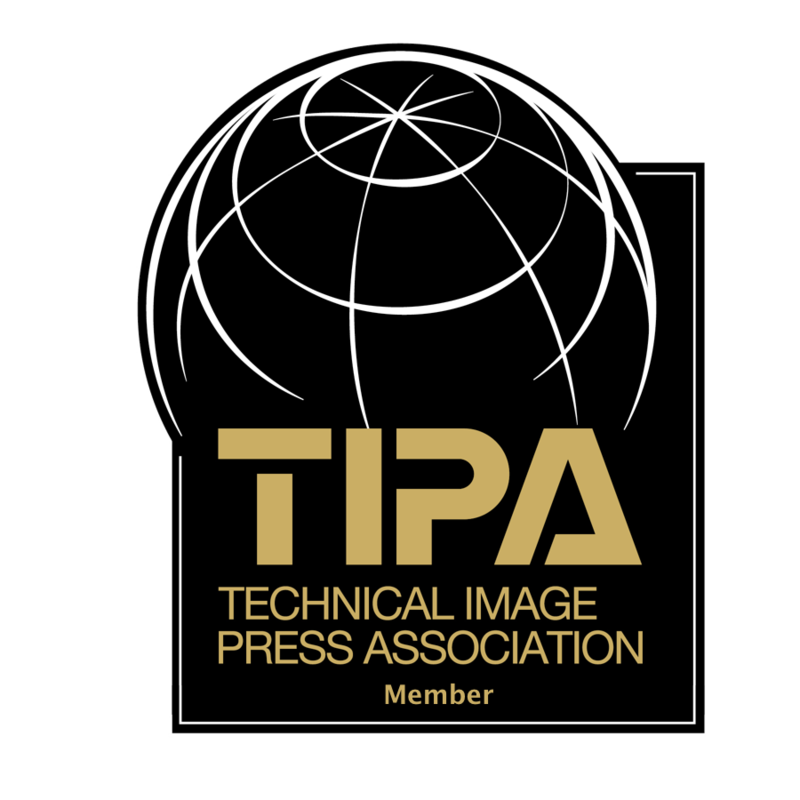 This is because in digital printing the Master File is where most of the ‘printing’ takes place. It is where the vision of the artist supersedes what the camera captured. 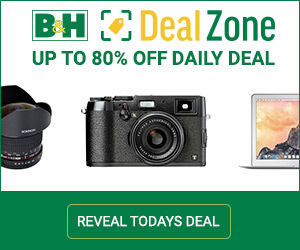 The photographers’ image processing and printing skills must be higher than the person hired to print the work. A printer can only make a print of your master file, they cannot create the master file for you. The master file is where you bring your vision into your work. For that reason, it can only be created for you. What this means is that having someone print your work for you is not an excuse for not studying printing and image processing. Besides the name of the artist what gives value to a fine art landscape photograph is the presence of a very high print quality. This is due to the fact that the content of a fine art landscape photograph is of low intensity. This is different from street photography or reportage photography for example. In the Paris images created by Henri Cartier Bresson, or in the war reportage images created by Robert Capa, unusual, intriguing or dramatic events are depicted. The photographs are so startling that it is the content that first grabs our attention. Print quality, while important, comes second. In fine art landscape photography, the situation is reversed. When looking at a fine art landscape photograph it is the print quality — the color, the contrast, and the visual nuances created by the artist– that first grab our attention. The content, while important, comes second. This is because no matter how dramatic the light or the composition might be it can never come up to the level of drama of a street photograph or a reportage image. Landscape images are by nature quiet and contemplative. Furthermore, unlike street or reportage photography, they often depict locations that we have seen previously. There must, therefore, be something unique about the image and about the photographer’s artistic skills in order to capture our interest. That something is the print quality. To collect well one needs to know what to collect. Of course, it can be said that we can simply buy whatever tickles our fancy or pleases our eyes, but that is akin to saying ‘I know art when I see it.’ While I started a collection that way, I no longer find this approach satisfying. If I go to an art gallery, supposedly everything in it is art. The question then is not to know art when I see it but rather to ask myself ‘which art do I like?’ or ‘which art do I want to buy?’ or ‘should I buy anything’ or again ‘is this artwork priced correctly?’ All these questions are best answered by myself because if I ask the gallery staff logic dictates that the answer will be biased. A gallery is a business that needs to make sales to exist therefore if something is there it is worth buying (answer to question #1), and yes I should buy something because it may not be there tomorrow (answer to question #2) and bien sur the artwork is priced correctly (answer to question #3). Of course, it all depends on price. What things cost influences how long we need to reflect before making a decision. If the price is ridiculously low getting satisfying answers to the questions above may be done in an instant. If the price is high a certain amount of reflection time may be necessary in order to prevent experiencing the dreaded ‘buyer’s remorse.’ On the other hand, one may be of the opinion that low prices are not an excuse for lack of satisfying answers and that quality art, not low prices, is what matters most. 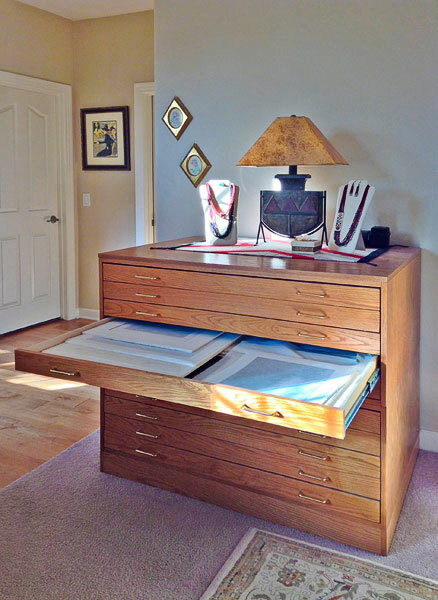 A file cabinet is the ideal place to store large or fragile artwork. I use mine to store both my work and the work I collect, especially large prints both matted and not matted. I place a protective sheet over each print so that they do not get scratched or damage by rubbing on other prints. I intentionally start this list with the best recommendation I can give and that is to collect art that you are emotionally involved with, art that moves your soul, art that creates a powerful emotional response when you see it. While art can be considered an investment it cannot be guaranteed to increase in value over time. Of course, no investment can fully carry such a warranty but of all possible investments, art is one of the riskiest. However, if you purchase art because you fell in love with a piece the investment value becomes icing on the cake. If it increases in value, great. If it doesn’t, no big deal. You will have a piece you love and that is what matters most. For example, you may want to collect artists that are part of a specific art movement or historical period, or artists who are working in a specific medium, or artists whose work has a specific investment value and so on. This will help you make decisions as to what to buy or not buy. Collecting art means looking at art. It means studying the work of other artists, both past and present, to find out how they express their vision, what they have to say and how they say it. We become better collectors, and better artists, both by making art and by studying art. Whether creating art or collecting art your approach to art is specific to art. It does not necessarily extend to the rest of your life. For example, all the images I create are manipulated. However, my approach to art does not carry over to the rest of my life. I do not manipulate people, lie to them, cheat on my taxes or otherwise engage in subversive actions. Similarly, I collect the work of surrealist artists, a movement which is characterized by the depiction of dream-like situations. However, that does not mean that I am a dreamer, living in a fantasy world, do not have my feet on the ground or otherwise live in a fairy-tale environment. Art is art and life is life. The two are not a mirror image of each other. The goal of art is to offer alternative ways of looking at the world, not to turn you into a socially unacceptable person. Do not let external opinions from friends, family or co-workers affect your personal decisions when it comes to collecting art. Keep in mind that it is your collection, not theirs and that as such it must reflect your taste, not theirs. Looking at art on the web is not enough. You need to look at original art in person to truly appreciate its quality. Art is a passion that needs to translate into visiting museums and galleries regularly to see real art, not just be satisfied by looking at representations in books, on the web or on screen. Do not keep your art in a closet or under wraps for years. Look at it regularly. If your collection is meant to be displayed, display it in your house. If you do not have enough wall space rotate your collection by changing what you are displaying at regular intervals, for example, spring, summer, fall and winter. If your collection is not meant to be displayed keep it in your library or other location but look at it regularly. Art lives in our souls and enriches us. Viewing it, admiring it and experiencing its power needs to be a regular happening. I am primarily a photographer but I collect art created in a variety of mediums, both two and three dimensional: paintings, drawings, sculptures, lithographs, block prints, photographs, engravings, jewelry and more. I also visit a variety of art shows and galleries. The nice thing about visiting art shows and galleries is that they show artwork in many different mediums, making it easy to learn about, enjoy, compare and acquire a vast variety of different works of art. Collecting does not have to be limited to two-dimensional art. Sculptures should not be overlooked, neither should other three dimensional works such as glass pieces for example. In fact, because I work with a two-dimensional medium, sculptures and other three-dimensional works are fascinating to me. 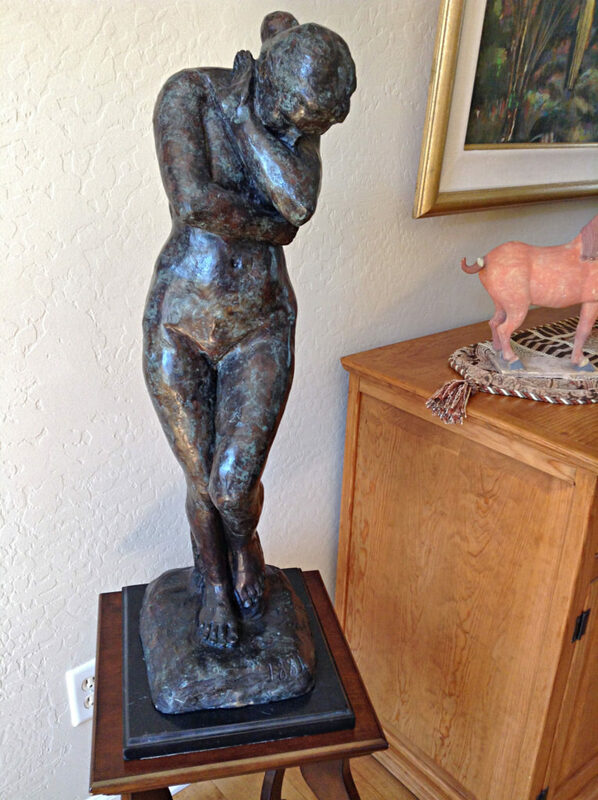 Unlike photographs, sculptures do not need to rely on shading, composition or other to create a three-dimensional effect. I expect most of the readers of this essay to be photographers. It is unfortunate that most photographers collect cameras and photographic gear instead of art. Certainly, cameras provide motivation for the creation of new work. They can also be inspirational, bringing new ideas to their owner. However, this inspiration is mostly of a technical nature. It is not the same than the inspiration a work of art provides. What a work of art brings with it is vision. The vision of its creator, of the artist who created the work. This vision is there, embodied in the work, and if you truly love the piece this vision is accessible to you. Only art can bring you this. A camera cannot do this for you. It is a tool and it can be placed at the service of expressing your vision but it cannot create your vision. Your vision must come from somewhere else. It cannot originate in the tool itself. Making the decision to collect art is a pivoting point in the life of an artist. Before making this decision I focused my own work. I wore blinders and was oblivious to the world of art in many ways. I worked on my images, printed my own images and looked at my own images. I lived in artistic isolation, surrounded by my work but without external artistic input. Art was in the museums that I visited but once back in my house the art was all mine. It was a closed circuit, one in which I reigned supreme because there was no other art to challenge mine. Collecting art brought an openness to my world. The ownership and the resulting study of other artist’s work invited external inspiration into my life. By collecting art I joined a community, the community of art and artists. I developed a love of art and photography, not just a love of my work. Today collecting art is just as important as creating art for me. I find that it fuels my vision, that it provides a door onto an endless field of inspiration and vision. 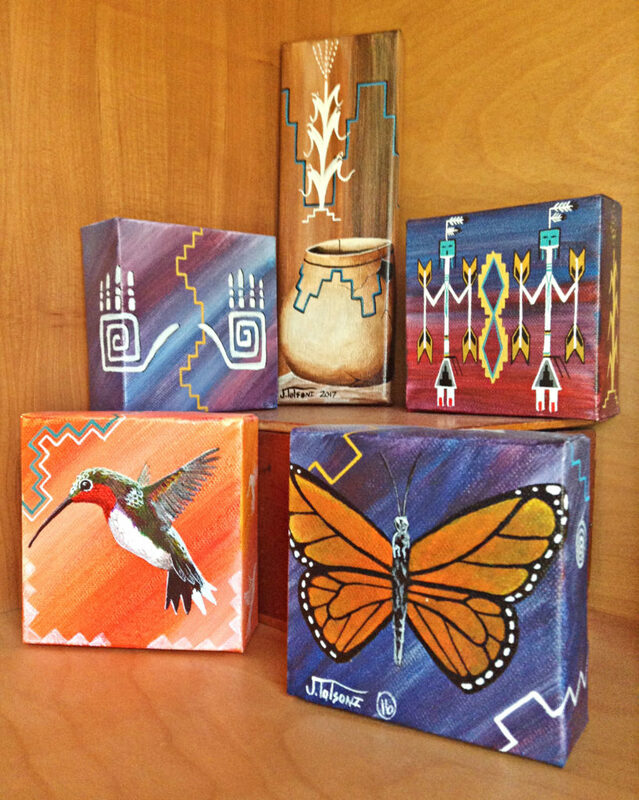 It is for these reasons that I encourage you to collect art. This is the last essay in this series about Collecting Art. My next series of essays will focus on another aspect of photography and art. I have not yet decided on a subject for this series, therefore, I invite you to come back here soon to discover what this next subject will be. If you enjoyed this essay you will enjoy attending a workshop with us. I lead workshops with my wife Natalie to the most photogenic locations in the US Southwest. Our workshops focus on the artistic aspects of photography. While we do teach technique, we do so for the purpose of creating artistic photographs. Our goal is to help you create photographs that you will be proud of and that will be unique to you. The locations we photograph include Navajoland, Antelope Canyon, Monument Valley, Zion, the Grand Canyon and many others. Our workshops listing is available here. 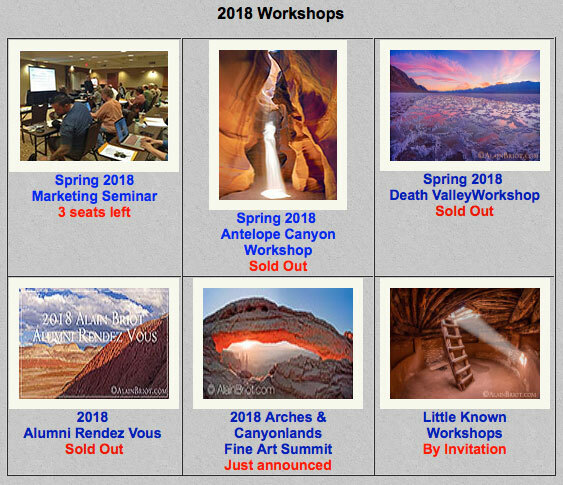 You can find more information about our workshops, photographs, writings and tutorials as well as subscribe to our Free Monthly Newsletter on our website here. You will receive 40 free eBooks when you subscribe to my newsletter. Natalie and I create fine art photographs, I teach workshops with Natalie and offer Mastery Tutorials on composition, image conversion, optimization, printing, business and marketing. I am the author of Mastering Landscape Photography, Mastering Photographic Composition, Creativity and Personal Style, Marketing Fine Art Photography and How Photographs are Sold. All 4 books are available in eBook format on our website here. Free samplers are available so you can see the quality of these books for yourself.